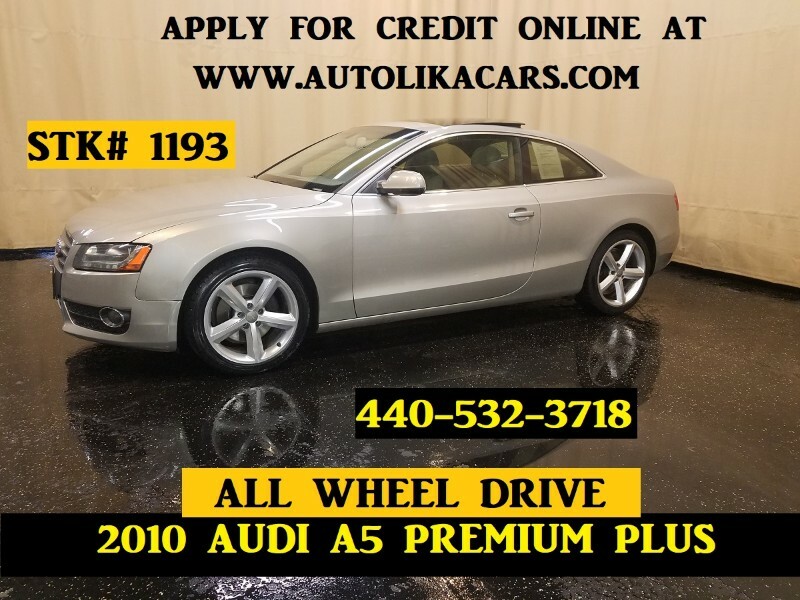 Visit Autolika Cars LLC online at www.autolikacars.com to see more pictures of this vehicle or call us at 440-532-3718 today to schedule your test drive. Message: Thought you might be interested in this 2010 Audi A5. All the prices are subject to change without notice, cannot be combined with any other offer(s), do not include taxes, registration fees, finance and/or documentation charges. We make every effort to present information that is accurate. However, it is based on data provided by the vehicle manufacturer and/or other sources and therefore exact configuration, color, specifications & accessories should be used as a guide only and are not guaranteed. Under no circumstances will we be liable for any inaccuracies, claims or losses of any nature. To ensure your complete satisfaction, please verify accuracy prior to purchase. Vehicle deposits are non refundable, however they are included in price of the purchased vehicle.